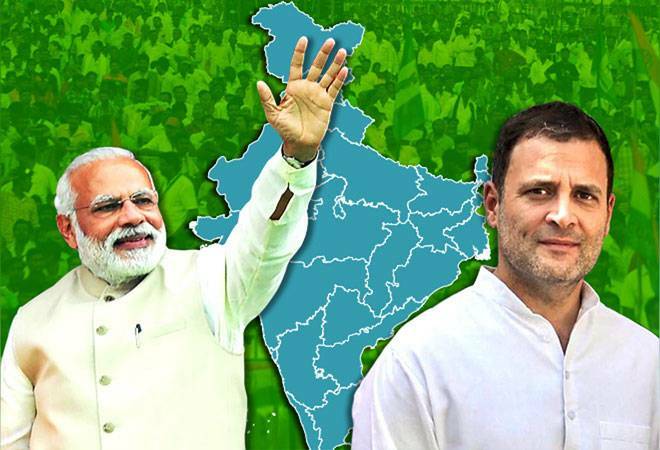 Lok Sabha Elections 2019: With just a week to go for the world’s largest democracy to start voting for a new parliament, campaigning frenzy has reached a fever pitch. The 2019 Lok Sabha elections, which will be held for 543 seats on nearly 10 lakh polling booths across the country, will begin on April 11 and will be held over seven phases, followed by counting of votes on May 23. That’s the day we will know whether the BJP and Prime Minister Narendra Modi will get to stay on for another five years or whether the anti-incumbency factor will swing the tide. While 22 states and Union Territories will see single-phase polling in the Lok Sabha Elections 2019, Bihar, Uttar Pradesh and West Bengal will see polling in all seven phases. Maharashtra, Madhya Pradesh, Jharkhand and Odisha will see elections in four phases, Assam and Chhattisgarh in three phases, and Karnataka, Manipur, Tripura and Rajasthan in two phases. Previous Explained | What’s the controversy around electoral bonds?